For Online application, aspirants need to visit the official website. Application forms are available both in Online and Direct Mode. The Application Forms can be obtained from the Office of Admissions, REVA University as well. Bachelors degree of three years in any stream or B E/ B Tech with 50% (45% in case of candidates belonging to SC/ST) of marks in aggregate from any recognized University / institution or any other qualification recognized as equivalent there to. Good score in REVA University Management Aptitude Test (REVA MAT) or CAT / MAT / C-MAT or any other equivalent examination conducted by recognized Institute / Agency. Admission to the Master of Business Administration (MBA) program at REVA University is strictly based on Merit. All shortlisted applicants are required to appear for the Admission Selection Process at REVA University. Applicants are required to appear for the REVA University Management Aptitude Test (REVA MAT) conducted by REVA University. Candidates can also apply using the Karnataka PGCET Scores. Rukmini Knowledge Park, Kattigenahalli, Yelahanka, Bangalore – 560064. No it is not a Deemed University, it is a private or autonomous educational institution in Bangalore. Reva university Fees structure for mba??? 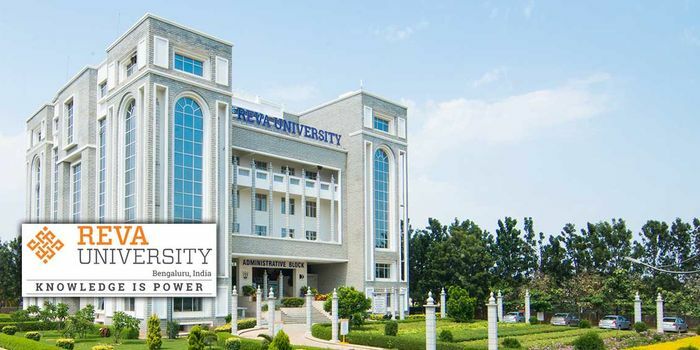 Your Reva University, Bangalore brochure has been successfully mailed to your registered email id .